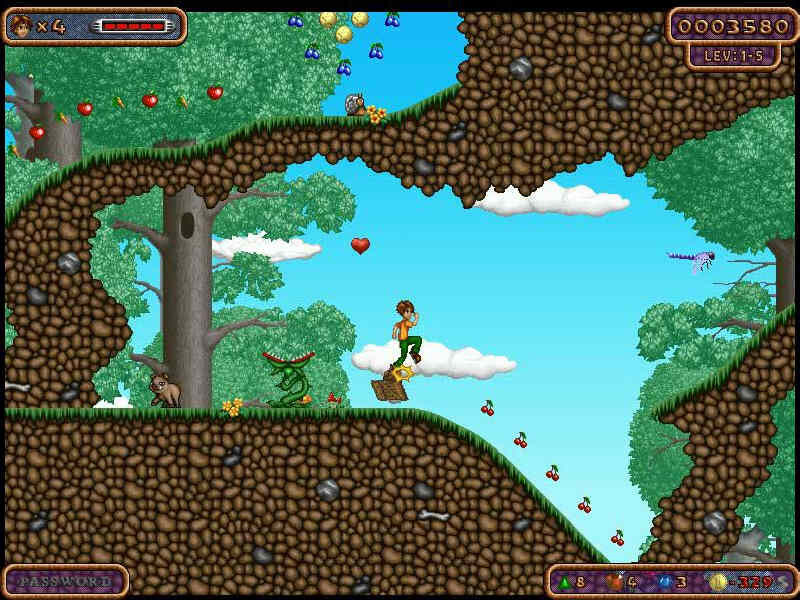 Bud Redhead - The Time Chase - 2D side-scrolling jump'n'run platform game suitable for all ages! 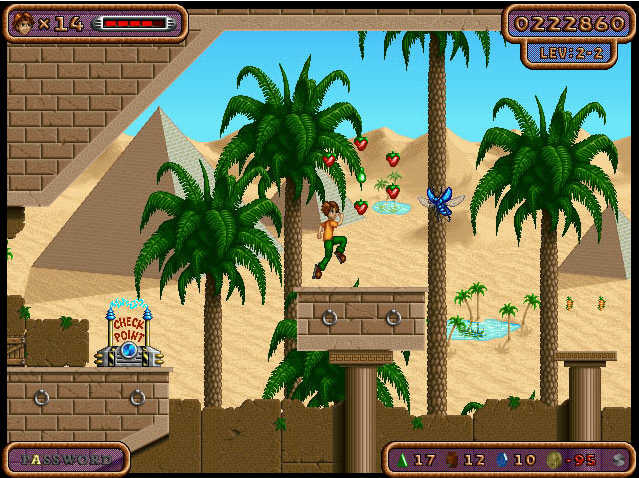 Everyone will enjoy classical side-scrolling arcade adventure like Bud Redhead with its beautiful hand-drawn graphics and huge levels for exploring. 4 different worlds: Forest, Egypt, Castle, Space Ship. 20 huge levels for exploring (5 levels in each world). Total game area of more than 1200 screens in 800x600 resolution (average of more than 60 screens per level!). Fun Big Boss level in shoot'em up style at the end. Thousands of gold coins, jewels and fruits to collect. Moving platforms, doors, levers, ropes, ladders and slippery surfaces. Many secret areas in each level. Up to 3 background paralax planes. Beautiful hand-drawn high resolution graphics. Automatic saving of the game status after each completed level. Interesting story between worlds with unexpected ending. Manual saving of the game status at checkpoints within levels. 800x600 and 640x480 in fullscreen or windowed mode.